Synthrotek's own Power Distribution Bus board: hand-assembled by you! 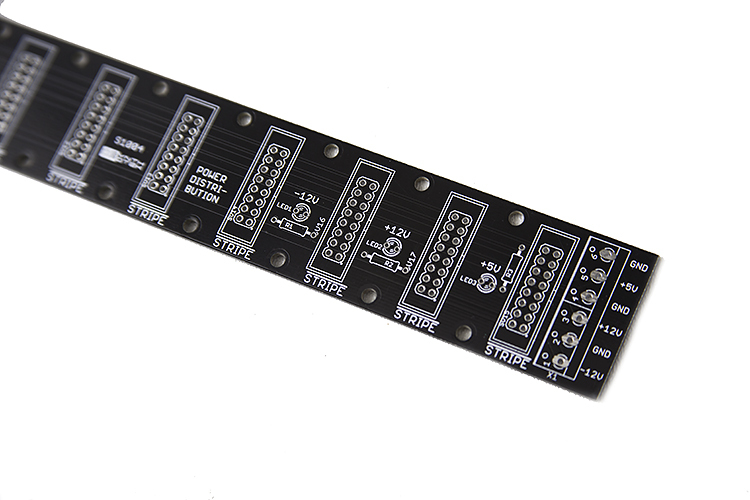 The Synthrotek Eurorack Power Supply Distribution Board is perfect for your DIY Eurorack modular case project. 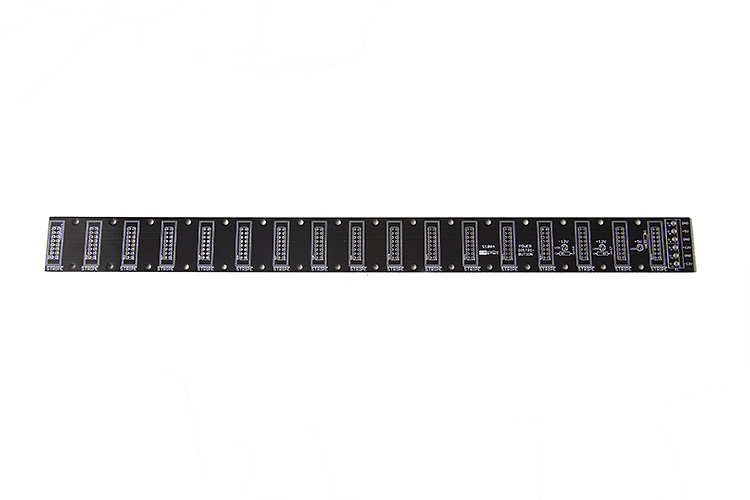 Our distro board has all 3 power rails (-12, +12, +5) and indicator LED per rail. Each rail also has its own ground connection. Distro board can be cut down to desired length, which will not damage the distribution board. -12 stripe indicator in the silkscreen allows for greater safety when using unshrouded connectors. Space for 17 Eurorack power connections. These boards can easily connect to Super Power or Case Power with a Molex Adapter Cable, which has a molex connector on one end and bare wire on the other. PCB only. Board measures approximately 15 3/8'' x 1 3/8''. Please note that this is different from our newer Noise Filtering Power Distribution Boards.